Provident Capital (Pvt) Ltd.’s iconic ocean side holiday home project The “Loft” Mirissa is well on its way for the construction and hand over of its apartments by the third quarter of 2020. 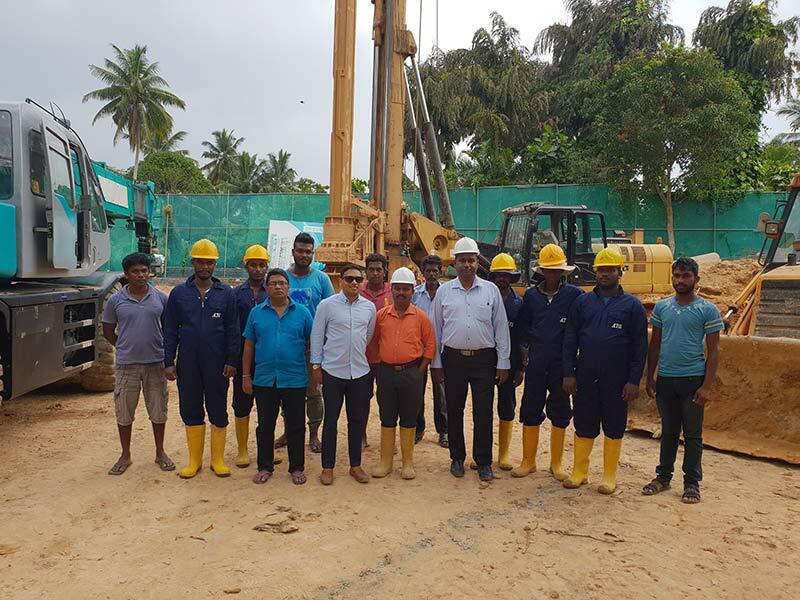 The piling undertaken by ATIS Engineering Services Ltd has been completed and principle contractor Buildmart Lanka (Pvt) Ltd has already mobilized to commence work on the architecturally unique structure. “A total of 42 piles with an average depth of 30 meters (approx. 100 feet) were completed successfully by the piling contractor, ATIS Engineering Services Ltd. One of the key factors that helped us to award the contract to BML was their expertise in leisure development in various parts of the country, particularly along the coast. We gave much emphasis to the quality of the finishes as we expect this property to be of the highest ‘resort finish and feel ‘ standards when it comes to the construction and the finished product”, said Chaminda Banduthilake Chief Executive Officer of Provident Capital. Among the many facets that make this development unique, the height of the building is one of the features that stand out. With just eight residential floors and 4 units per floor, the building reaches approximately 160 feet. This is achieved by the two-bedroom “loft” apartment where the floor to ceiling height clearance is approximately 20 feet and hosts a spectacular mezzanine floor that offers an ocean and harbour view from the front and rear sides of the apartment. Standing out reaching for the skyline, the building also offers a range of facilities such as a luxurious pool, a Mediterranean styled rooftop lounge and bistro with a breathtaking 360 degree view of the Mirissa bay, restaurant with indoor and outdoor seating, fitness center, business center, gaming lounge, 24-hour front desk, and housekeeping to name a few. Only 1 ½ hours’ drive away from Colombo, the resort-style project is just 200 meters from the famed Mirissa beach, a paradise for any beach enthusiast that is a hub of activity from surfing, whale watching, diving, exquisite seafood restaurants to a vibrant nightlife that is constantly buzzing with tourists at any time of the year.